Northern Ohio is a popular destination for conferences, festivals and special events. Famous for The Rock and Roll Hall of Fame, Cleveland is where legendary radio deejay Alan Freed first broadcast the words “rock and roll” and location of the very first rock concert, The Moondog Coronation Ball. It’s no surprise Rock ‘n’ Roll is a popular and fun theme for many events held in Cleveland and other areas along America’s North Coast. But it might be a surprise to learn all rock ‘n’ roll shows were banned from Cleveland during the mid-1960’s. The reason? Look no further than The Beatles’ riotous 1964 concert at Public Hall (now The Convention Center) where police stopped their performance and declared, “That’s not the way little girls should behave in public!” Two years later the ban was lifted to bring John, Paul, George and Ringo to Municipal Stadium where the results were the same – only on a much larger scale. Author Dave Schwensen brings Cleveland’s own version of “A Hard Day’s Night” to life with an informative, entertaining and (often) humorous presentation about the group’s two visits to The Home of Rock ‘n’ Roll. Along with an insightful pop culture journey back to the city during the mid-1960’s and a simmering generation gap (the Beatles did not have parental approval), this program’s highlights also include rare films of both concerts. 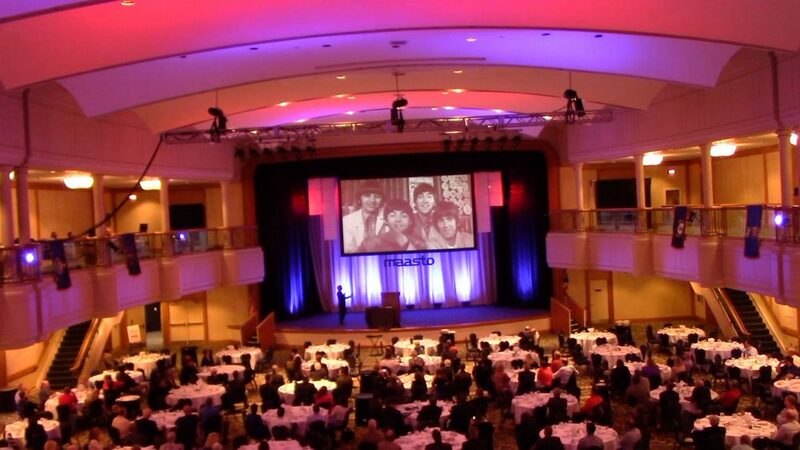 Set the stage for your next rock ‘n’ roll themed conference or event with the excitement of Beatlemania and two of the wildest, out of control concerts in Beatles – and rock – history. For more information, pricing and scheduling please use the contact link above or send an email to dave@davepresents.com.